The Jigsaw Contemporary Wooden Highchair is a brand new design from Zoobie, a nursery furniture and accessories company overseas. 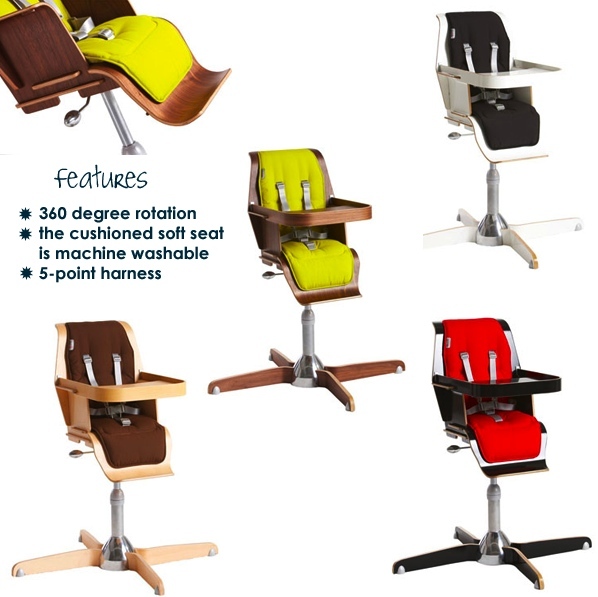 It’s modern design compliments any contemporary décor with all the functionality you come to expect from a modern day highchair. The wood trim gives it the elegant, classy look that some parents are looking for when buying baby gear. I love it’s full range of height adjustments and 360 degree rotation. Your child can use this chair right up to the dinner table so they can learn to eat and interact with the rest of the family. assembled dimensions are 97 x 63 x 66cms and it has a seat height range of 43 – 56cms.